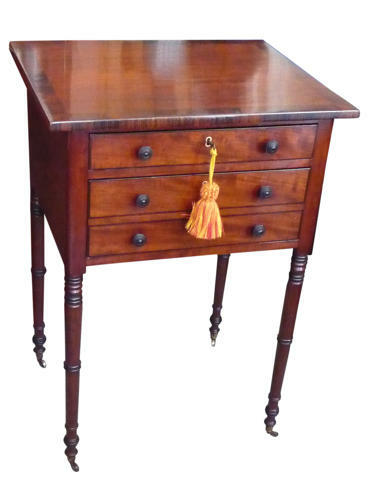 An attractive Regency mahogany work table with rosewood cross banding and ebonised turnings. The back is also polished so it can stand in the middle of a room or next to an arm chair. circa 1825, George IV period.